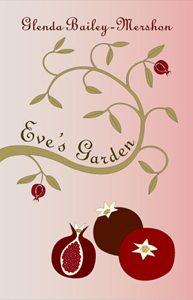 "Creating Eve's and Evangeline's World"
Link up with Author via Google and join in the discussion about the landscape, plot, and characters that make Eve's Garden such an engrossing read. 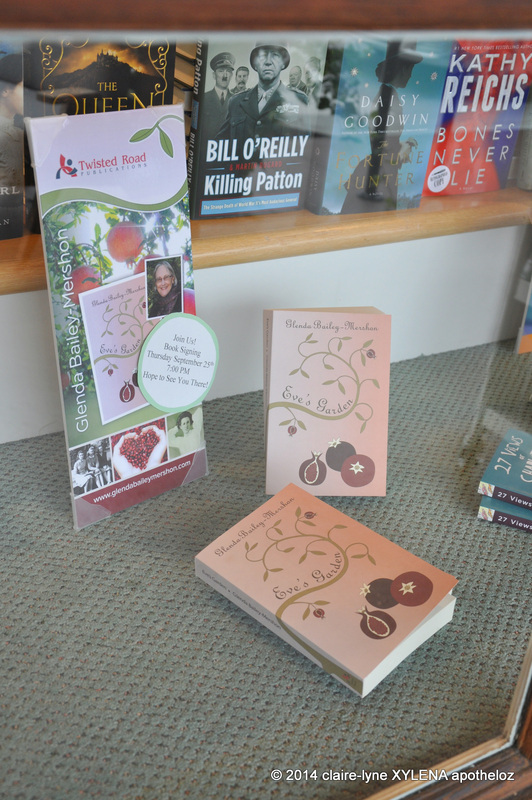 Glenda will answer your questions about the book or writing or what wine she's sipping. Bring your favorite beverage along and enjoy the conversation. Luna Rising is in it's sixth year, and this all-Woman event gives everyone a chance to relax and learn a new skill or simply delve into deep conversation. 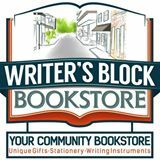 Glenda will present a workshop called "Writing Toward the Light," about appreciating the dimensions and details of your own world and using personal experience to inspire literary universes, whether you're journaling for creativity or embarking on your own novel. Visualization and movement techniques will help you find solutions to tangles. Novelists Glenda Bailey-Mershon (Eve's Garden) and Sandra Lambert (The River's Memory) read from and sign their largest books during First Friday Art Walk. Stop in for a sip of wine and some special words to add zing to your evening. "Love and Loss" Panel with Mary Burke (Mary Ellen Taylor), Pat Spears, and others. 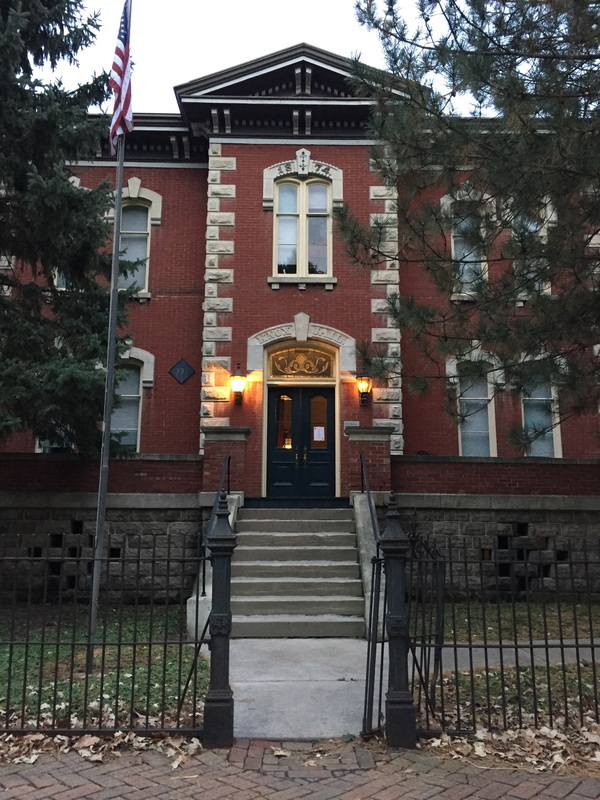 "Amaro Drom: One Author's Encounter with Her Romani Ancestors"
"Power of the Pen: Writing the Change You Want to See in the World"
Glenda also continues to do house party readings and signings. Email her at gnaileymershon@mac.com to inquire about scheduling your group, or use the form below. 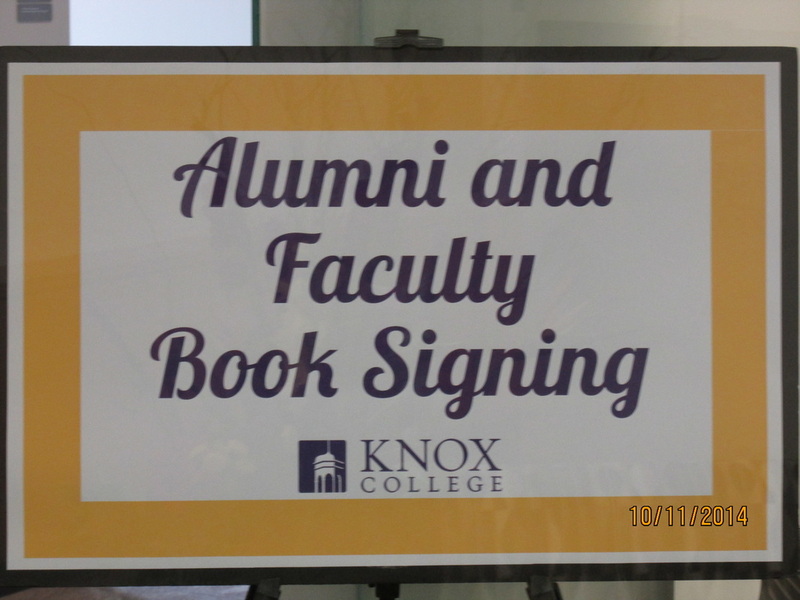 Signing books at the Carnegie Library. 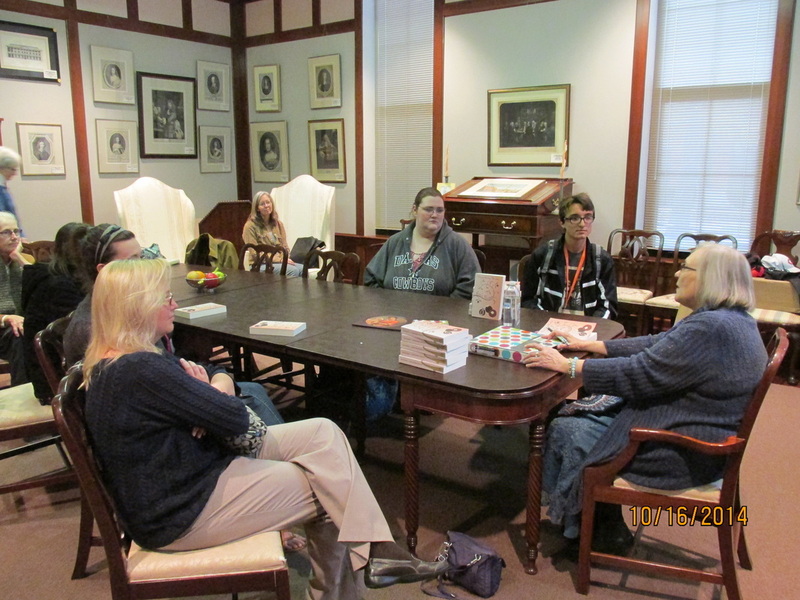 Chatting with English majors at Trine University in Indiana. 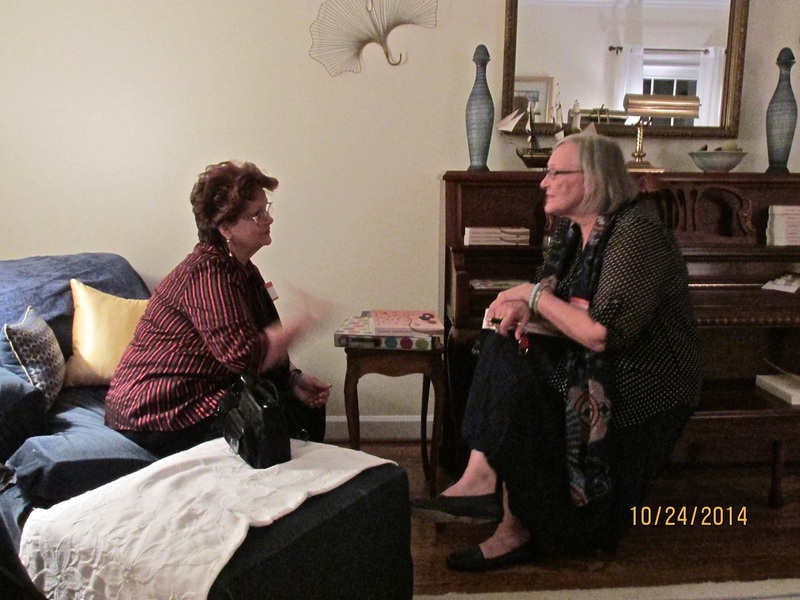 With a reader at a house party in Atlanta, Georgia. 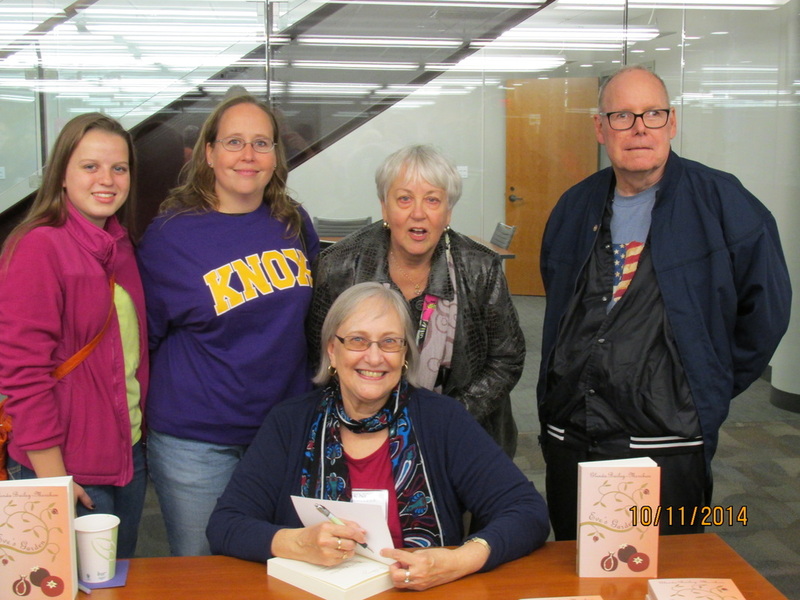 Glenda with readers at Knox College's Faculty-Alumni Book Fair. Would you like for Glenda to speak to your group? Please drop her a note below.